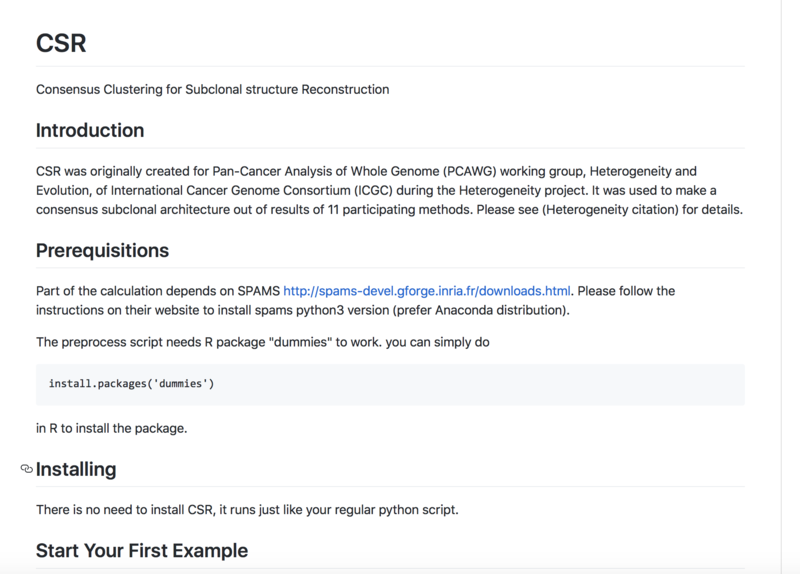 Our lab has developed is a new consensus clustering for subclonal reconstruction software, CSR (pronounced "Caesar") It can be downloaded from Github. 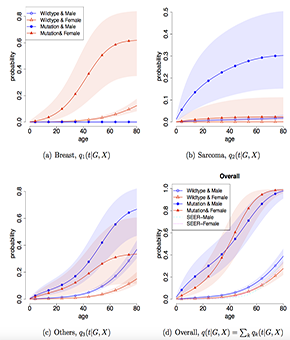 We developed a new software R package called Famdenovo: predicting the probability of de novo status of a germline mutation in familial diseases. 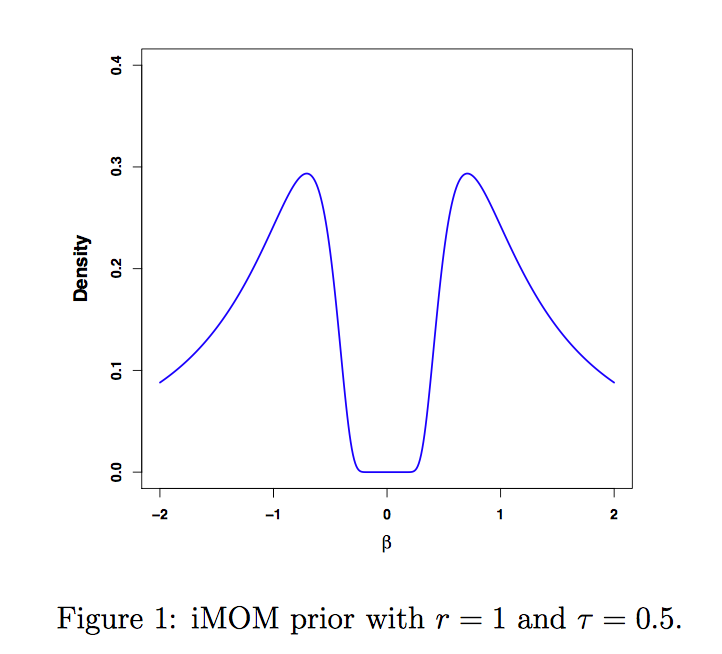 Our TAMU collaborators Amir and Val's latest work on Bayesian variable selection for survival outcomes is on arXiv. Congratulations to the new graduates, Zeya Wang and Jialu Li! DeMix R package is available. 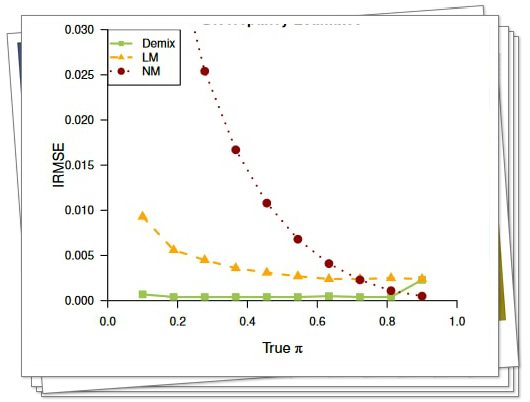 DeMix includes DeMix-Bayes for two-component mixture and DeMixT for three-component mixture. It can be downloaded from Github:Download here. Our LFSPRO paper is online at CEBP. link to the paper. Congrats to Gang! Download the source code of our mutation caller MuSE here. MuSE is now online at Genome Biology. Download text here. Congrats to Wenyi, the Program Chair-Elect for ASA Section on Statistics in Genetics and Genomics. .
Wenyi Wang will give a talk at the Annual LiFE Consortium & LFSA Conference. Jialu Li and Elissa Dodd will also give posters there on their LFS projects. Exciting!! Link to the LFS conference here. Congratulations to Zeya Wang for being selected as the only statistics graduate student to participate in the IBM Rice Global internship program! . Zeya Wang and Jialu Li are both giving talks at the ENAR 2016 conference at Austin. Enjoy!. 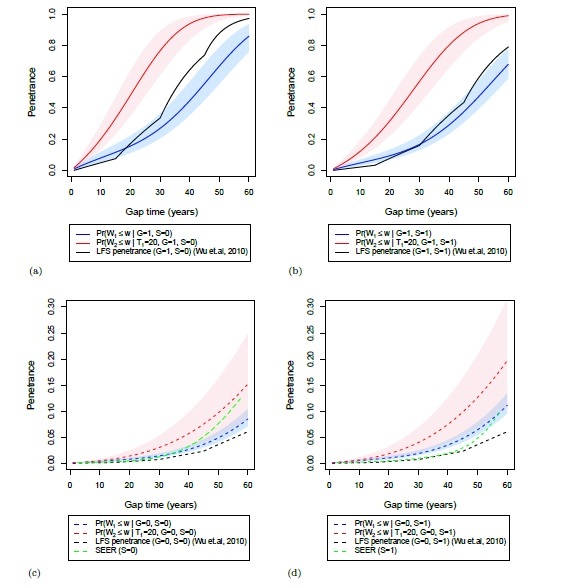 Amir's paper on BVS-NLP for binary outcomes is published on Bioinformatics. [Abstract][PDF] Congrats!! . First member of the lab, a newly-minted PhD, Gang Peng will be joining Professor Hongyu Zhao's group at Yale University Department of Biostatistics as a postdoctoral fellow. Farewell and best of luck!!. 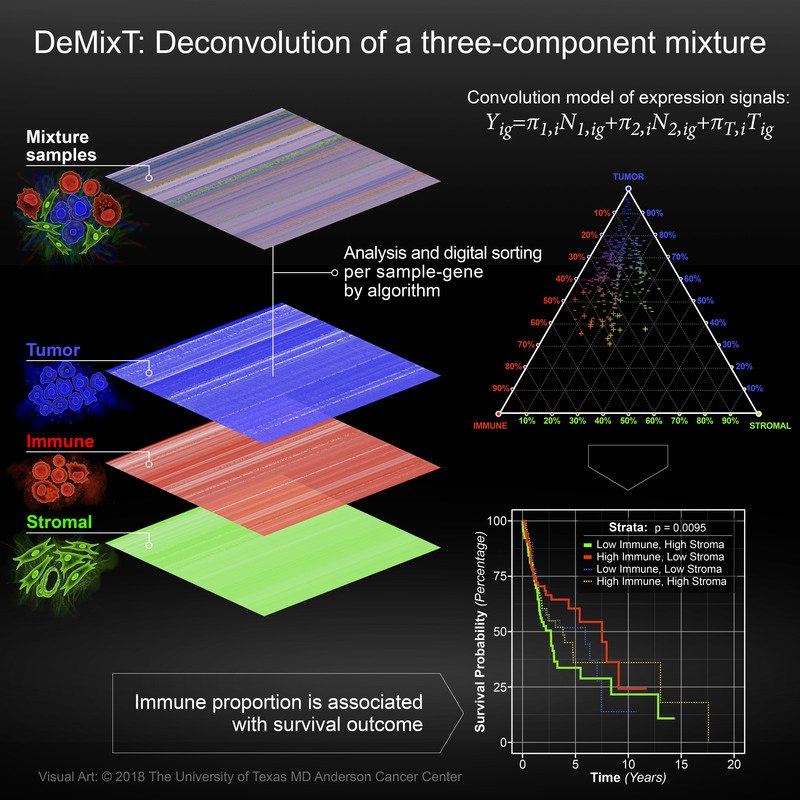 Zeya Wang is giving a poster presentation on the deconvolution of three mixing components in tumor samples, DeMix-T, at ASHG 2015 this Friday. Good luck! Warm welcomes to new members of the group: postdoctoral fellows Xuedong (Peter) Pan and Nilotpal (Nil) Sanyal! Congrats to Wenyi for promotion to Tenured Associate Professor! Big congrats to Gang Peng for having successfully defended his thesis! Well done!! Congrats to Yu Fan on his successful renewal of the CCBTP fellowship. Congrats to Gang Peng for receiving a GSBS student travel award to present his work on LFSpro at the ENAR spring meeting, Miami! Farewell to Seung Jun! Good luck with your new journey at Korea University! Final results of the ICGC-TCGA Dream Mutation Calling Challenge are here..
Our group member, GSBS student, Jialu Li has passed his PhD qualifying exam. Congratulations!! 1. Our somatic mutation caller MuSE can be downloaded from here. 2. 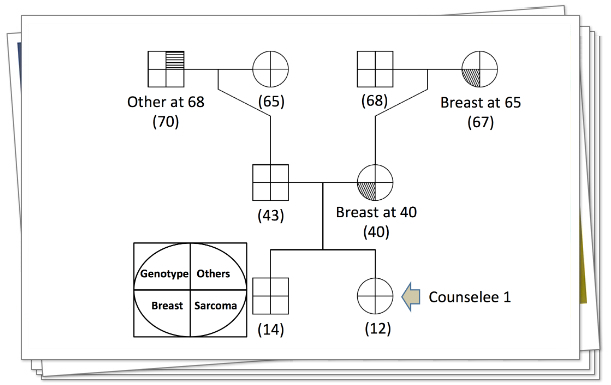 R package LFSpro for TP53 mutation carrier probability estimation in families with Li-Fraumeni Syndrome is available now. 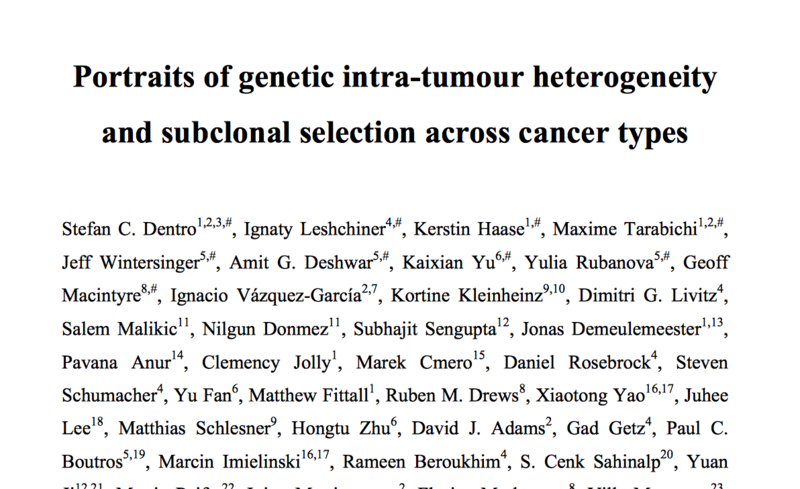 New publication: FamSeq is online at PLOS Computational Biology. Seung Jun Shin takes on a Tenure-Track Assistant Professor position at Korea University, Seoul, South Korea. Congratulations, Seung Jun!! Dr. Wenyi Wang has received a 5-year R01 grant on Statistical methods for analysis of heterogeneous tumor samples from the National Cancer Institute. Congrats!! 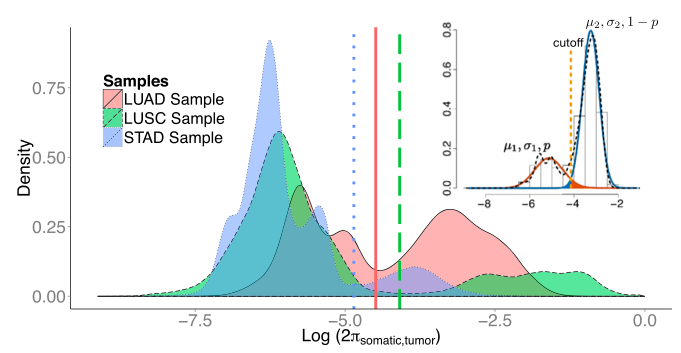 Our FamSeq software paper is in press on PLOS Computational Biology. We have a new postdoc fellow join our group: Tsung-heng Tsai, from Virginia Tech. Welcome Tsung-heng! 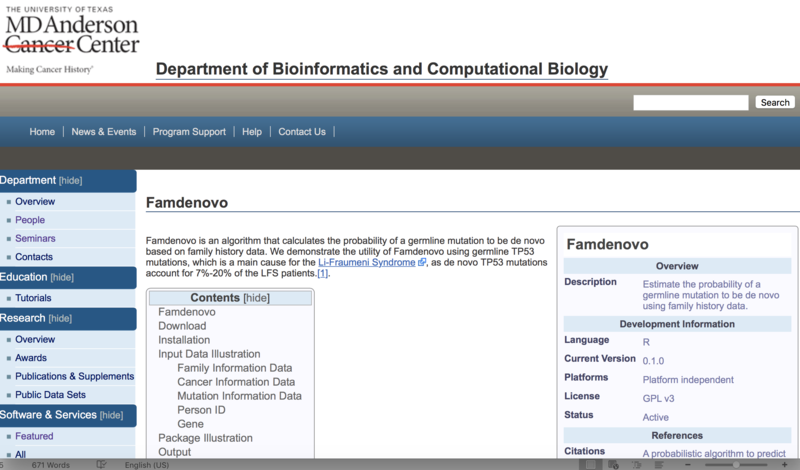 Software release: FamSeq can now run on GPUs (graphic processing units). If you have a computer equipped with a CUDA-enabled graphic card, you can gain computational efficiency for variant calling of DNA sequencing data from families by running FamSeq-GPU! Yu Fan is awarded the Keck postdoctoral fellowship by the Computational Cancer Biology Training Program from the Golf Coast Consortia for Quantitative Biomedical Sciences. See details about CCBTP. Zeya Wang has passed the doctoral qualifying exam at Rice Statistics. Congratulations!! Dr. Wenyi Wang has received a 2-year Individual Investigator Research Award (IIRA) on personalized risk assessment for families with Li-Fraumeni Syndrome by the Cancer Prevention Research Institute of Texas (CPRIT). Congratulations!